Deluxe Aluminum Lining Clamp (1 each) is light weight and strong. 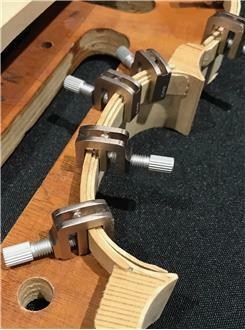 The jaw of the clamp is rounded so that it doesn’t leave impressions in your linings. The clamp opens to 7mm and has a depth of 11mm. Sold individually.